Mild Steel Parallel Flange Channel also commonly known as ” C section” are measured by width x depth x weight per metre. Commonly used in the building trade often as a lintel above doors or floor joist supports. Cutting service available to your required length. For prices and sizes available give us a call or fill in a request a quote form. 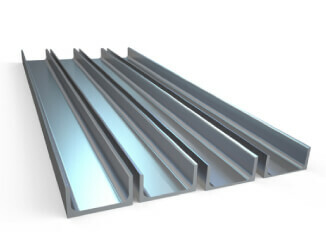 Parallel and tapered flange channels are perfect for supporting doors and walls systems where heavy loads need to be supported by these steel beams. Both channel designs are better suited for different situations therefore it is important to bear this in mind when considering which flange channel you require for the particular task at hand. South West Steel offers a wide array of Mild Steel products including sections, sheets, bars, beams and specialised designs such as rebar. If you are looking for these products and wish to see dimensions and prices then do not hesitate to contact us today for a free quotation. © South West Steel Supplies Ltd. 2016. All rights reserved. Complete the fields and we will be in touch. Upload your designs to discuss your project.